Important Note: This does not include the right to republish images from the FTB Site, for which ForgetTheBox Media may not the copyright holder, except in the context of a screenshot of the whole site. ForgetTheBox Media makes no representations or guarantees about the suitability for third-party use of content that appears on the ForgetTheBox Media site, and licenses herewith only the content of which ForgetTheBox Media is the copyright holder. b. For all other feed uses, including reproduction on website, you should only use the Excerpt feeds, unless otherwise agreed with the company. e. ForgetTheBox Media reserves the right to object to your presentation of the RSS feeds and the right to require you to cease using the RSS feeds at any time. f. ForgetTheBox Media further reserves the right to terminate its distribution of the RSS feeds or change the content or formatting of the RSS feeds at any time without notice to you. d. “More Fromâ€¦” links back to original site at the end of each post must be included on content pages and may not be removed. a. Reproduction of screenshots from any page is permissible, without prior written approval, so long as the site logo and URL is fully visible or otherwise included on the page. See above for general permissions on partial content. 6. Corresponding with ForgetTheBox Media Any correspondence with the FTB Site or with ForgetTheBox Media, or submission of content to us, including any documentation or images, is considered property of ForgetTheBox Media. 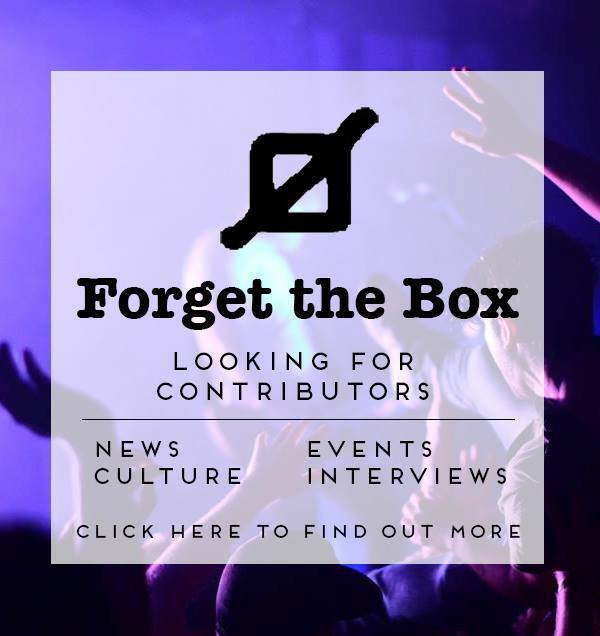 ForgetTheBox Media reserves the right to reproduce such content, in whole or in part, on the FTB Site or its affiliates, and to use it in any way we choose, including allowing third parties to republish the material. In submitting something to us, you are representing that the content is yours to give to us, does not infringe on any third party’s rights – copyright, trademark, privacy rights and the like – and is not libelous or unlawful in any other way. a. No personal attacks on our writers. f. Keep all comments relevant to the particular FTB article where the comment is being posted. g. No Sexism, racism, homophobia or threats of violence. To file a notice of infringement with us, you must provide a written communication (by email with an attached and signed PDF or by fax) that sets forth the items specified below. Please do not send us regular mail, as we may not receive it in a timely fashion. In all cases, if you do not hear a response from us within 10 days of submitting a complaint, please telephone us at (514) 927-9185×100 to confirm that we received your original complaint. Spam blockers sometimes devour important emails from strangers! I. For each allegedly infringing image, video or piece of text that you wish to have removed from one of our site, provide the exact permanent URL for the page containing the material. VI. Sign the document and send a scan to Forgetthebox@forgetthebox dot net -Attn: ForgetTheBox Legal / DMCA Complaints. Accordingly, if you are not sure whether material available online infringes your copyright, we suggest that you first contact us or an attorney. We also reserve the right to publish your letter on the FTB site(s). 10. External Links Disclaimer FTB Site routinely contain links to external, third party website. By providing links to other site, ForgetTheBox Media does not guarantee, approve or endorse the information or products available on these sites, nor does a link indicate any association with or endorsement by the linked site to the FTB Site in question. 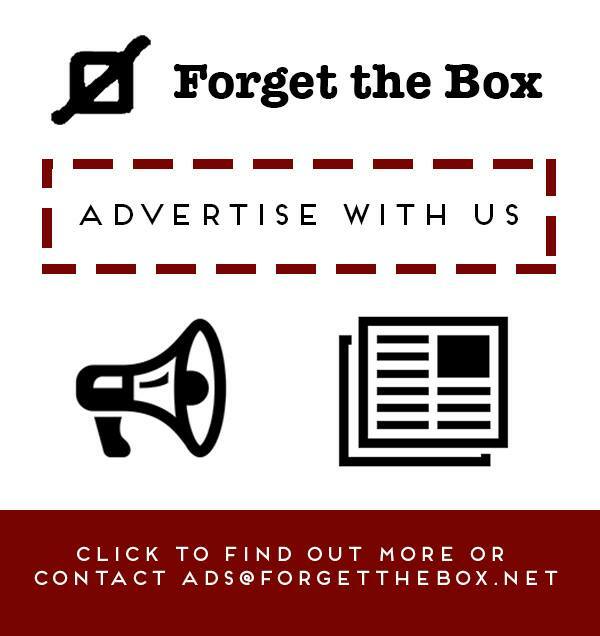 ForgetTheBox Media does not operate or control and has no responsibility for the information, products and/or services found on any external site. Nor do such links represent or endorse the accuracy or reliability of any information, products and/or services provided on or through any external site, including, without limitation, warranties of any kind, either express or implied, warranties of title or non-infringement or implied warranties of merchantability or fitness for a particular purpose. Visitors to FTB Site assume complete responsibility and risk in their use of any external site. Visitors should direct any concerns regarding any external link to its site administrator or webmaster. 11. General Disclaimer All of the ForgetTheBox Media’s website is opinion based. The site publishes both rumors and conjecture in addition to accurately reported information. Information on the site may contain errors or inaccuracies; the site’ proprietors do not make any warranty as to the correctness or reliability of the site’ content. Links to content on and quotation of material from other site are not the responsibility of ForgetTheBox Media. 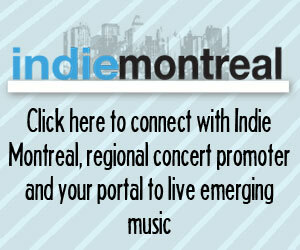 Email sent to any of the ForgetTheBox Media site is considered our property. We will respect and protect anonymous sources as tipsters, but all correspondence is considered available for publication. All FTB Site are in compliance with the Digital Millennium Copyright Act. For more information on the legality of thumbnail usage of photographs, please download the 9th Circuit Court’s ruling in Kelly v. Arriba Soft Corp (July 7th 2003). 12. Information Security ForgetTheBox has technical, administrative and physical safeguards in place to help protect against unauthorized access to, use or disclosure of user information we maintain. Under our security practices and policies, access to personally identifiable information is authorized only for those who have a business need for such access, and sensitive records are to be retained only as long as necessary for business or legal needs and destroyed before disposal. 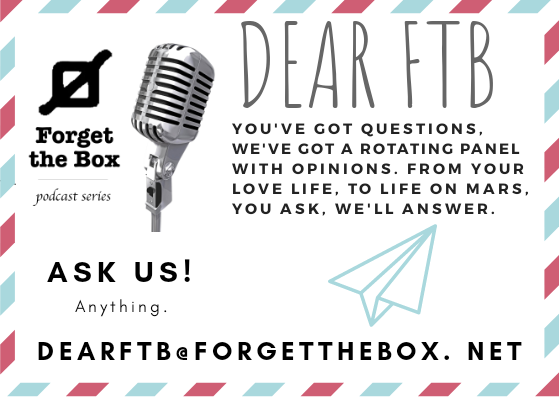 If you become aware of a security issue, please email us at Forgetthebox [at] ForgetTheBox [dot] net. We will work with you to address any problems.